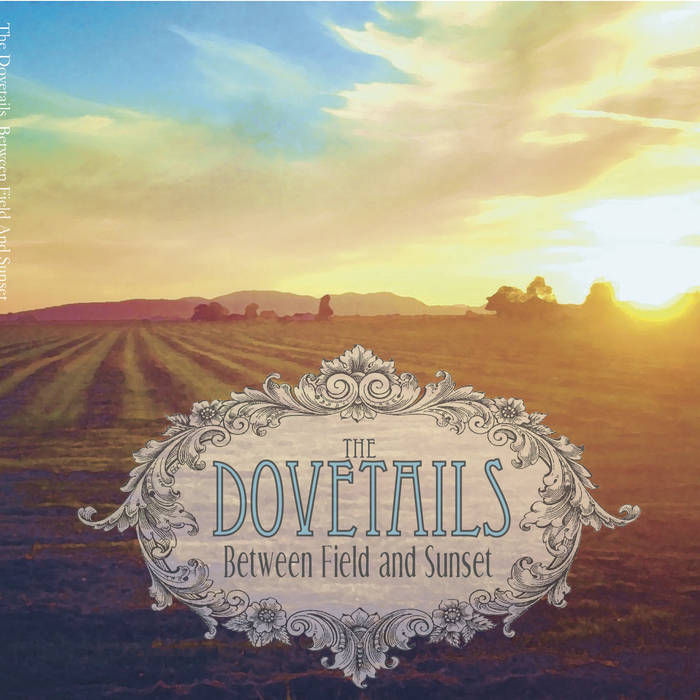 There’s something comfortably nostalgic about The Dovetails’ debut album, Between Field and Sunset. It feels like sitting by a creek with your best friend, toes grazing the water, or slow dancing with your loved one at the town watering hole. It’s like coming home to a place where the people you meet on the sidewalks all greet you with a sincere warm smile. The Dovetails were formed in 2010, by Jessica Gigot (vocals, guitar) and Dean Patrick Luce (guitar, mandolin, vocals), after they met playing in a singer/songwriter series called “Quiet is the New Loud.” They have since married and added Peter Bridgman on bass. The Dovetails have performed at bars, farmers markets, parties, and music festivals all over Skagit and Whatcom counties. Jessica and Dean also own a farm in Bow, called Harmony Fields. Jessica’s vocals are smooth and captivating. They hearken back to that old-time, country sound that we don’t often hear these days. Add in Dean’s harmony and tenor guitar (which he built himself) and Peter’s bass, and the trio has a truly full and warm sound. With songs like the sweetly snarky “Window Shopping” and the rhythmically locomotive “Night Train,” Jessica, Dean, and Peter show their immense talent as artists. It’s clear that Jessica’s songwriting is influenced by farm life, but with songs about love, hope, new beginnings, and coming home, Between Field and Sunset is an album that just about anybody could relate to. There’s nothing flashy or overstated about it. It doesn’t try too hard. It’s just sweet, smooth and reminiscent of simpler times.